Available from Massey Ferguson , MF 3600 Series multi purpose tractors are nimble and powerful. These tractors have been specifically designed to be versatile, enabling them to handle a wide range of agricultural and municipal tasks. The MF 3600 Series consists of three models that are available in 2 or 4 wheel drive, and with or without cab. Further extending the theme of simplicity and versatility that is at the heart of the cab models, the ‘platform’ configuration also offers outstanding performance and a high level of comfort and safety. These versatile and productive farm tractors are simple to use and also have a spacious and comfortable working environment for operators. The cab requires minimal maintenance and the wide opening doors offer superb access and will be appreciated by stock farmers and municipal users. MF 3600 Series utility tractors are supplied as standard with an air suspended seat and air conditioning, while the ergonomic layout ensures all controls are mounted in convenient and easy to reach positions. The MF Series also features roll over protective structures (ROPS) that will not hinder visibility, comfort or easy access. 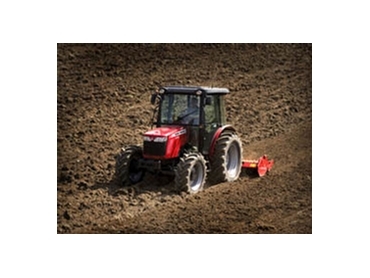 MF 3600 multi purpose tractors are powered by high torque AGCO SISU POWER diesel engines and heavy duty front axle to provide secure and reliable operation of front attachments. MF 3600 Series multi purpose tractors also have outstanding stability, meaning they are capable of working on steep slopes and difficult terrain.